The Philadelphia Baseball Review released its College Player of the Week awards for the period ending February 25. 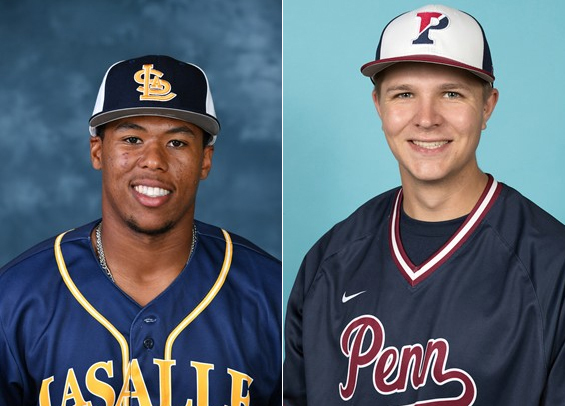 La Salle senior designated hitter Chase Arnold was named the Philadelphia Baseball Review's Hitter of the Week, while Penn sophomore right-handed pitcher Mitchell Holcomb was named Philadelphia Baseball Review's Pitcher of the Week. Arnold hit a pair of home runs, scored five times, and finished the weekend 4-for-11 (.363). He also drove in six runs, including four via a grand slam on Saturday for the Explorers. Holcomb pitched five scoreless innings in relief on Friday in the Quakers' season opener, surrendering just two hits and a walk. He sent nine of the 17 batters he faced down on strikes.